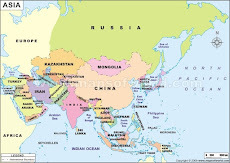 For the last three years FoodWorks has been focused on South Asia, principally Pakistan, although Eddie Vernon has been working in Afghanistan and Bob Lindley has been in the Pacific. However, now the time has come to change perspective somewhat and look at opportunities throughout the region. This does not mean we have finished with Pakistan - the problems in agriculture remain enormous - but that the donor community has put agriculture on hold for a while. 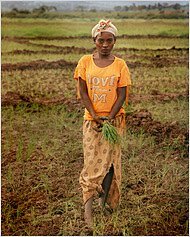 The Asian Development Bank has re-focused on infrastructure while USAID is pondering about whether to move ahead with the the $400 million planned investment (that we helped design) in staple crops and livestock/dairy. Hopefully by Christmas some decisions will have been taken and things might move ahead. We'll be happy to participate if the do. Meanwhile, we are looking at Nepal (crop diversification), Bosnia (capacity building) and Cambodia (private sector investment in rice). 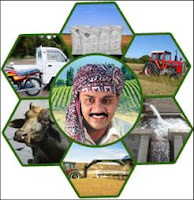 SINDH DEVELOPMENT FUND: Working with the Competitiveness Support Fund (CSF - see link), we have created, designed and now mobilized a $30 million agribusiness investment fund exclusively for the Provincial Government of Sindh (Planning and Development Department). 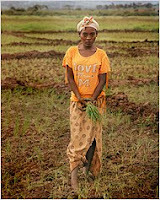 As designed by the CSF team, the SDF will eventually make grants to small farm enterprises and provide credit guarantees for larger investors; it will provide technical assistance (Eddie Vernon and Bob Lindley have designed the crops and fisheries aspects respectively, Younus Sandeela has supported the project) and access to infrastructure development funds. The CSF-SDF Team was put in place by Geoff Q-B and has now been handed over to a local CSF manager. 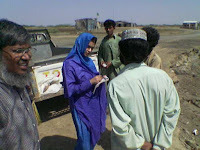 Based in Karachi, the CSF managed team will operate throughout rural Sindh. Projects so far identified include date processing in Khairpur District, banana processing, continued development of the Karachi Fish Harbour, and installation of an effective cool chain system at Karachi Airport. The SDF is initially funded by the provincial government for 3 years but is expected to be augmented by other donors.